While it is exciting to see an anime that comes from the same brilliant mind that brought us the Monogatari series, I must admit it was equal amounts disappointing to find out the studio adapting it wasn’t SHAFT. I guess I just figured that after Monogatari, NisiOisiN wouldn’t dare dream of having anyone else doing his adaptations from then on—though perhaps it is possible he may not have had a say in the matter. Regardless, with a writer like that, it mostly (if not entirely) falls on the studio staff for whether or not the animated series turns out well. Before I determine that, however, let me give a brief summary for those unaware. Every 12 years, some mysterious and powerful group hosts the Zodiac Tournament: A grand battle royale consisting of only the finest warrior descending from each family, representing one of the 12 animals in the Chinese Zodiac. Winners of the tournament are given one wish to be granted. The rules and settings for each specific tournament seem arbitrary, but all have one clear throughline: Last one standing wins. This time, the warriors are facing off in an evacuated city, and have a time limit due to the slow acting poison they all ingested before the start of the death game. These warriors are all masters at their respective crafts, and each of them has come equipped with a unique, supernatural power. There’s no point in getting attached to any of these characters, because it appears to be anyone’s game…until it turns out the winner really was THAT obvious from the beginning. That may sound bad, but the writing is actually the best thing the show has going for it. Before I elaborate on that, however, I’d think it’d be better to first point out the worst parts of the show. Put frankly, Juni Taisen: Zodiac War is drastically underwhelming when it comes to its visuals. Now, the overly simple answer to “Why does Juni Taisen look so mediocre?” would be that it’s CG animated, but that wouldn’t be a fair or valid conclusion to make. CG animation is just a tool, and it can look great when utilized by an expert. It just so happens that, when handled poorly, CG ends up looking exponentially uglier and more pathetic than really any other animation style. In 2D animation, the most desirable result would be to not be able to notice the CG at all. It’s a shame Juni Taisen didn’t get that memo. Aside from the tiny sliver of cool action sequences that the show does have, the compositions of most shots are painfully dull, and character movement is rendered in a pretty unsightly fashion. Moments were such grotesqueness may compliment the scene do occur, but for the most part, there’s nothing really special or striking to be found. A simple screencap hunt (as I do for all my blog posts) shows that there just wasn’t a lot of thought put into the mise en scene and composition of each shot. The show looks terrible more often than it looks great, and for most of the time, just sits in a disappointing state mediocrity. 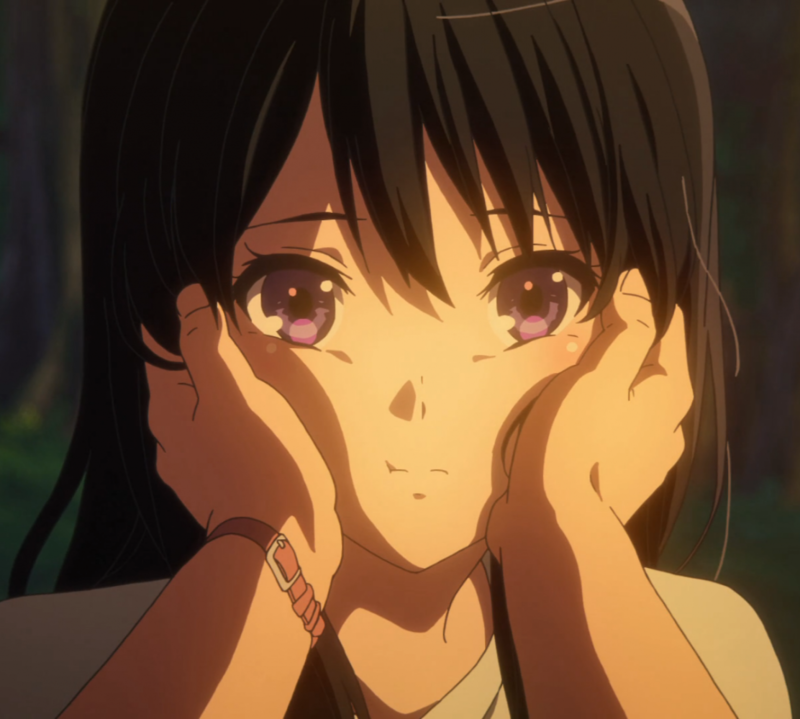 I like the OP and ED songs, but the OP and ED themselves are pretty lackluster. They both are just your typical “run through the cast of characters” slideshows with a little extra flair. The weird thing with the ED, however, is that it (mostly) spoils the exact order of which each warrior dies. The slideshow just goes from the first one to die, all the way to the last one alive. Though this isn’t too egregious, mind you, because the story turns out to be more concerned about how they die, rather than who. Like I said earlier, it becomes obvious who will win this tournament through a bit of unsubtle foreshadowing near the beginning. For the most part, we’re just along for ride. I’ve been thinking long and hard about what I should and should not spoil, and when it comes right down to it, I believe this is a different kind of death game, and so typical death game spoilers need not apply. You will know who is going to die next based on whether or not their backstory is shared. Once a backstory is delved into, the character whom said story belongs to will die relatively soon. It does sound like a boring, repetitive way to tell a narrative, but what it’s actually doing is taking the typical death game lure of unpredictability and tossing it to the side. The show’s main theme actually revolves around predictability, and plays with it ironically as shadowy figures bet on the tournament, unaware that one contestant is a master of seeing the future. This show isn’t about picking a character to root for. It’s merely a neatly setup trail of dominos that we have the joy of watching tip over. Each death isn’t the result of one climatic battle after another, but rather, a simple domino dropping. Deaths are brilliantly simple in Juni Taisen, as everything extraordinary in the show is reined in the realm of practicality, making sense of fantasy elements that could’ve easily been left unkempt. The script is tight, and each death makes perfect sense while still managing to surprise in inventive ways. I mentioned earlier that we only get slivers of action, but that’s partially due to the nature of the narrative. A series of anticlimaxes, where each battle is decided early on, and is finished in an instant. Each warrior is wound-up like a toy with their own interesting backstory, only to be defeated before the tension can be release. Their oversight in the opponent’s abilities is always their downfall. Specifically, this is what makes the Rabbit so formidable. His methods are impossible to discern because the way he kills utterly psychotic, and so even the strongest warriors are taken aback by his insanity. The backstories, which I keep kinda glossing over, are all fantastic, and are a huge part of what makes the show bearable to watch. The story, as I’ve described it so far—a completely predictable death game with very few and far between action sequences—doesn’t sound so great on paper. Without each character’s backstory, it probably wouldn’t be. These characters are extremely well-built, especially considering all but one of them are designed to die. Their origins are each unique, and tell enough for an audience to begin to understand and/or care about them. They each reveal a flaw in their character, be it one’s immeasurable optimism or another’s voracious greed. Their deaths are obviously inevitable and quickly executed, but the stories shared of them allow us to feel a little more than the way I had described so earlier: A domino tipping over. Overall, the narrative is fantastic and the portrayal is lacking. Visually, there was nothing special to be found in this show, and so the strength of the writing was really what pulled me through it. A lot of the show is left vague, too, in regard to the tournament organization. The mysterious host and the kind of power he must wield to handle such an event, and how he could possibly grant any one wish, regardless of what it might be. None of this is a problem, as I can live with the story staying on just the level of the warriors on the front line. In the end, this was just a finely crafted tale that probably would’ve fared better in the hands of a greater studio. I haven’t read the book yet, but I suspect that doing so would most likely make for a better experience than watching the show. Anyway, thanks for reading. Hope this a nice kickoff for feature week, only a day late. Nice, now I’m excited to watch this show, at least at 2x speed.